Responsible for the study and execution of projects contracted by the Saudi Electric Company in different fields such as; above and underground cabling, distribution of energy along with electric and energy grid stations. Haif has partnered with many energy specialized companies to develop and enhance its ability and capacity to be able to compete aggressively in the field of energy services. The reinvention of Haif in the early 1990s and the success that the company has achieved and established in the Contracting work, and other fields has produced the company needs for an Power division to handle the Power sector of projects. 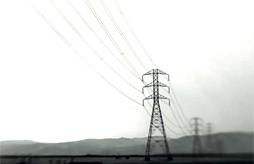 In 1999, Haif created the Power division, since its creation, the division has been assuming all Power projects and contracts that Haif acquires through bids, and/or to finish the energy part of all projects that contracted by Haif, that’s include and not limited to the study and execution of projects provided by the Saudi Electric Company in different fields such as; above and underground cabling, distribution of Power along with electric and energy grid stations.